and we will be more than happy to answer any questions about your wedding car hire concern. 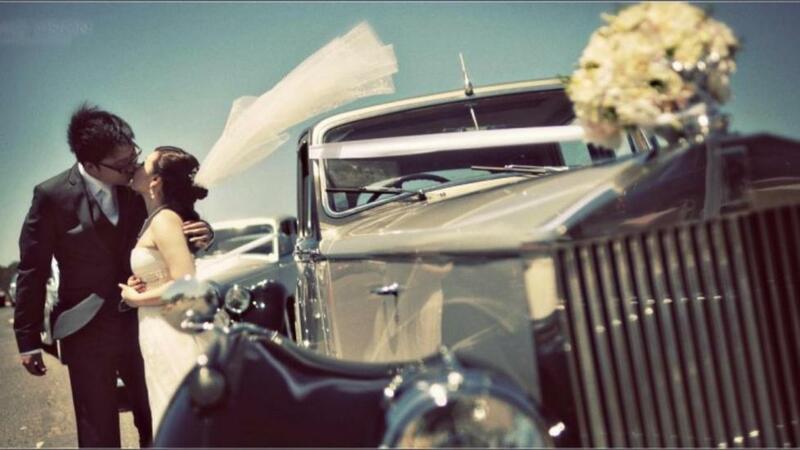 Are you an accredited wedding car operator? Are we able to view the wedding cars? We do recommend you come over and see our fleet if you have time, we are conveniently located in Eastwood (between North Ryde and Ryde). If you do not have the time, no matter, thats why I have so many detailed photos of the cars, please explore our pages. Inspection is by appointment only, Available Monday-Friday from 10.00am up till 8.00pm; call 9878-8888 or email info@oyaltyweddings.com.au to organise a viewing. Will the cars I booked be the cars that actually come on my wedding day, I have heard so many bad stories? 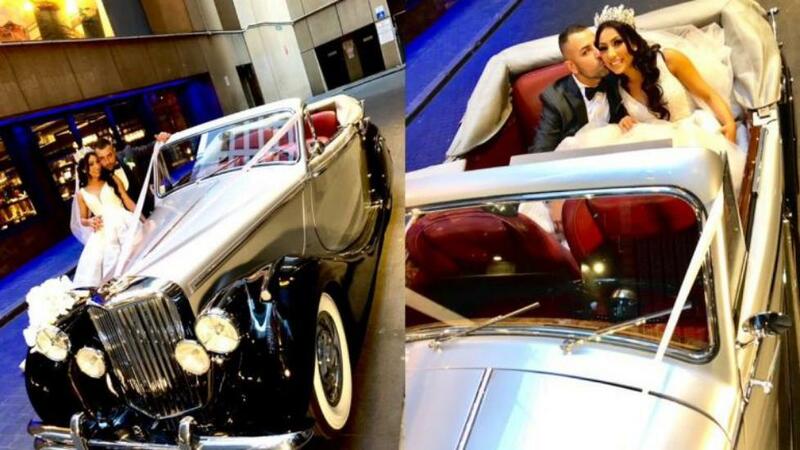 Yes, we are happy to book your wedding cars by number plate, saying that, all my cars are indentical, all the exterior of the wedding cars are identical as well as the interior, all have red luxurious leather and matching walnut burl timberwork. When should I book my wedding cars? I always say, the sooner the better to avoid dissappointemnt. We only have 7 cars, so as soon as they get booked out ther is no other cars out there that compare to our standards, quality and service. What is the minimum wedding car hire time? We have a minumum 3 hour hire. 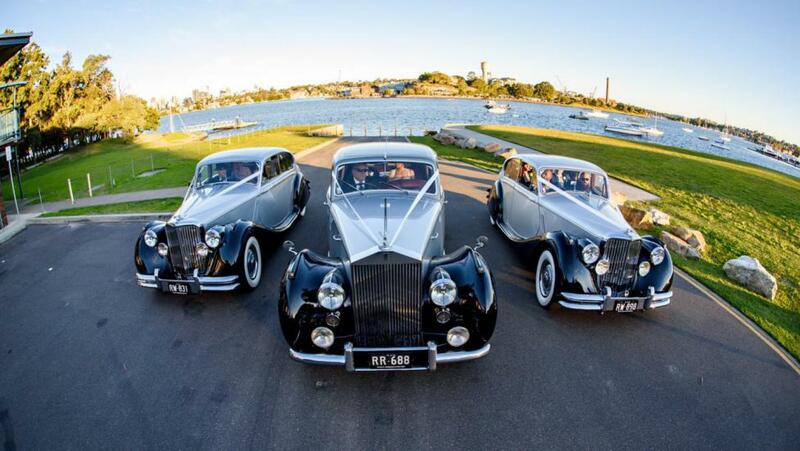 Cost of hiring wedding cars in Sydney? Each wedding is different so we put put packages together for you individually. Call 9878-8888 or go to wedding cars prices page to find out more. 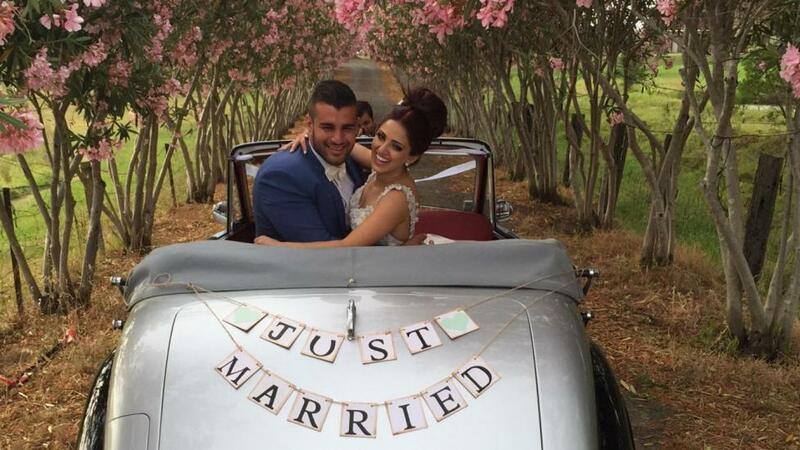 Do you have wedding car packages? 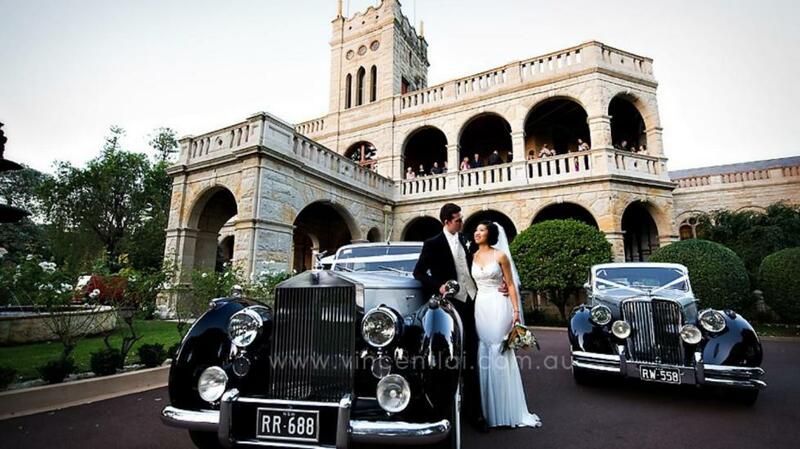 Yes we do have wedding car packages, please go to our wedding car hire Sydney page. What do we supply on the wedding day? Firstly, fully uniformed chauffeurs, ribbons on the cars, red carpet at the ceremony for the bride, champaigne, softdrinks and plenty of bootles water for the passengers, ifyou book 2 cars or more for 4 hours or more we also supply nibblies (cheese, dips and cracker) free of charge. Are the wedding cars air-conditioned? 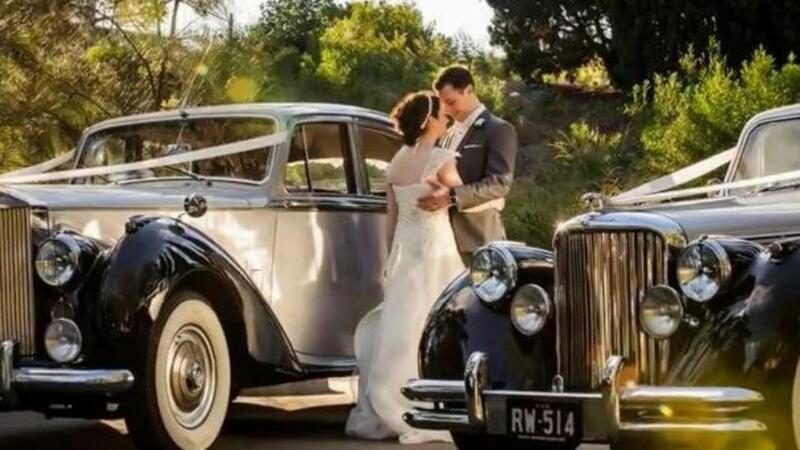 Some of our cars have air conditioning but please keep in mind that some of our classic wedding cars are over 69 years old and are limited when compared to a modern wedding car. We truly do our best to make sure you are comfortable on your wedding day. It all depends on the sze of your bridal party, each car seats up to 4 passengers, but remember the bride normally will take 2 places due to her wedding gown. Can we have young children in the wedding cars? In the vintage cars, we are not allowed to carry children under the age of 8 (by law) as our cars do not have seat bets. What can be done about children in the wedding cars? 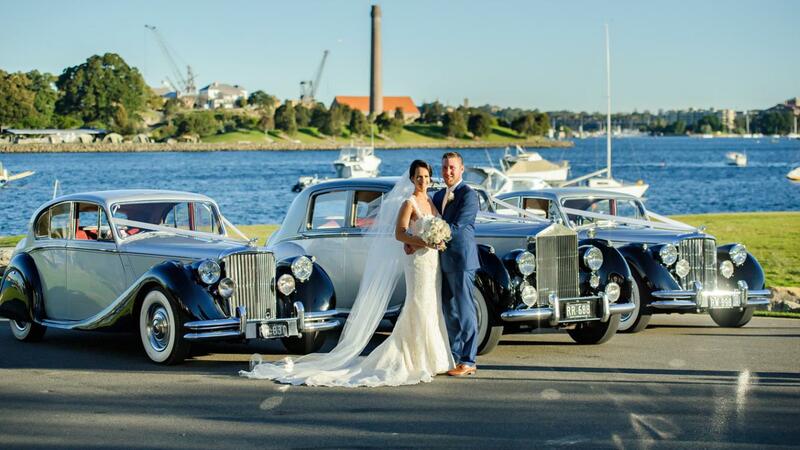 We have a modern Holden Caprice that we can hire to you as wedding car transport for the children. Can I book a getaway car from you? 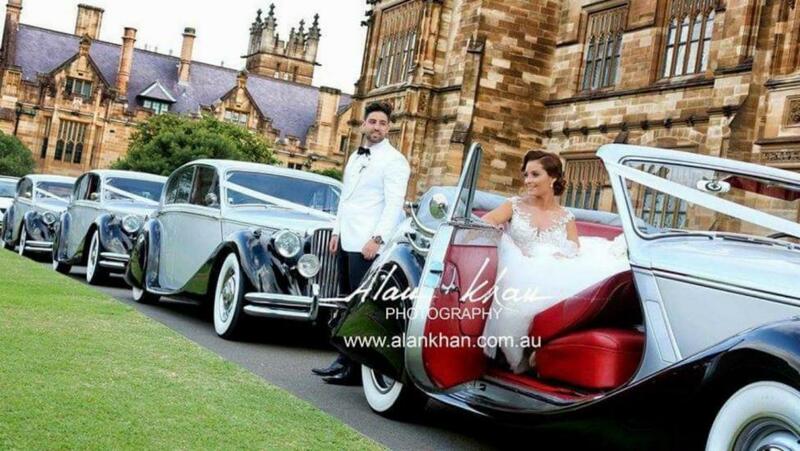 How many photo locations can the wedding cars take us too in Sydney? We have no restrictions, as many as you like, although as long as time permits. Can we take photos of the wedding cars? Yes, of course, we encourage you to take as many photos as you like and the photographer will take professional photos of you, they look great in your wedding album as well as social media. Do you have any discounts for weekday weddings? We do discount for Midweek and Sunday weddings. We also have winter specials, call us for more information about or wedding car packages. Do we need to pay a deposit to hire the wedding cars? To secure the cars you will need to pay $150 per car deposit. You can pay by credit card(Visa and Mastercard only), direct debt or cash, whichever is easier for you. Final payment is due 2 weeks before your wedding date.